Director Nigel Clegg is working on the first draft edits of the opening and closing episodes. Actor and stunt choreographer Christopher Puttock is editing the action-focused episodes 3 and 4. Artist Nigel Potter (who also cameoed in episode 2) is working on numerous matte paintings and vehicle concept drawings. 3D artist Mark Wickham is creating various CG zeppelins, landing craft and mechs. Simon Jones is beginning work on a couple of major cloning wide shots from episode 1, which are the only two shots we can confirm at this point will be included in the edit in some form. I’m going to focus for a moment on that last piece of the puzzle, mainly because Simon happens to be me. 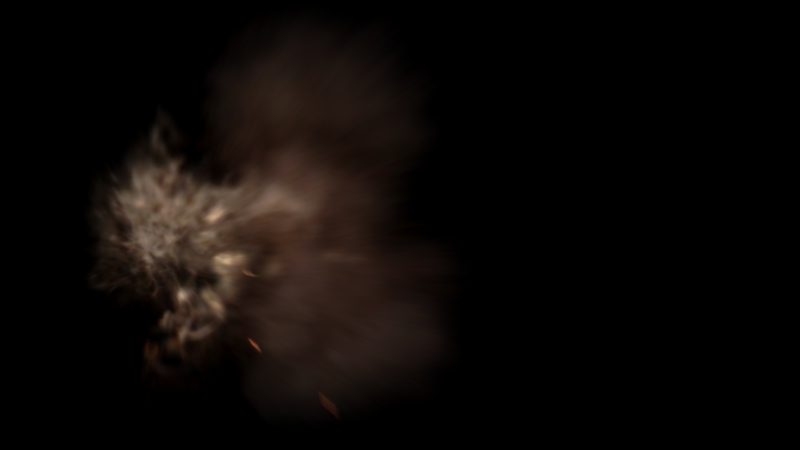 As part of the web series we need a lot of muzzle flashes and squibs. Technically they’re easy to achieve but you want to make sure they look right, as there’s nothing worse than a poorly composited or animated muzzle flash. Happisburgh beach is a public area and we didn’t have the budget or clout to close it off, therefore we had to contend with passers-by and a ridiculous number of off-leash dogs. Not a safe environment to have any kind of firing weapon, even blank-firing movie guns. For similar reasons, we couldn’t have noisy explosions or gunfire as it would have disturbed the local residents. The scale of the opening beach sequences in episode 1 would have meant a ridiculous number of muzzle flashes. For consistency, it’s probably simpler to keep it all CG in this case. We had a very tight schedule and not having to concern ourselves with prepping practical weapons saved a huge amount of time, even if it adds time in post. 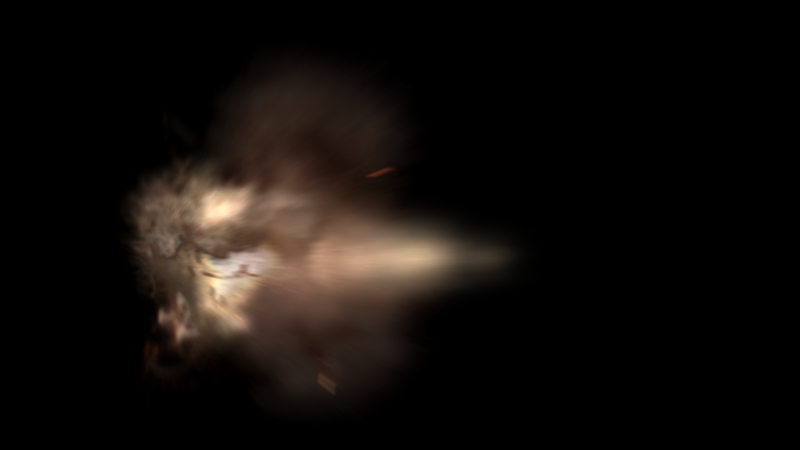 As we’re using FXhome’s HitFilm for the vast majority of visual effects (other than Mark’s 3D modelling work), generating an infinite supply of muzzle flashes is a cinch using its 3D gunfire effect. 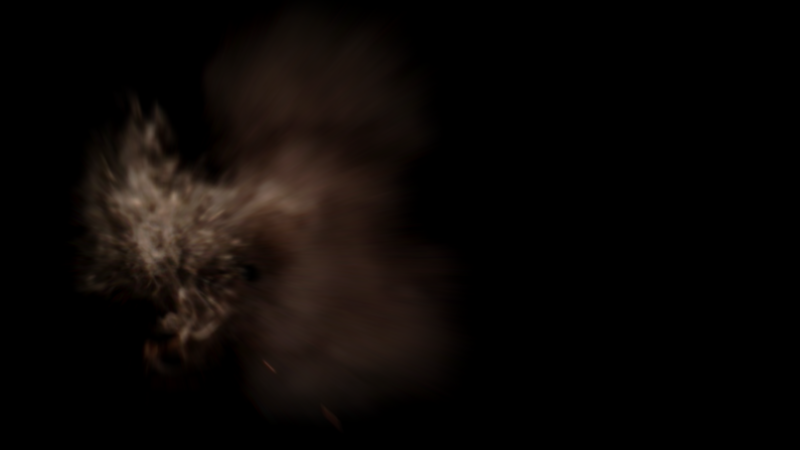 For some of the shots in episode 1 I decided to pre-bake a few muzzle flashes with attached smoke elements. This means that after the brief flash of gunfire, there’s a nice puff of smoke lingering in the air. Particularly for long distance shots this helps to sell the effect, which otherwise can be so fleeting that it is entirely missed – particularly during scenes set on a bright day. I also threw on a bit of zoom blur, which makes the whole thing look a bit more dynamic and binds the multiple layers together. 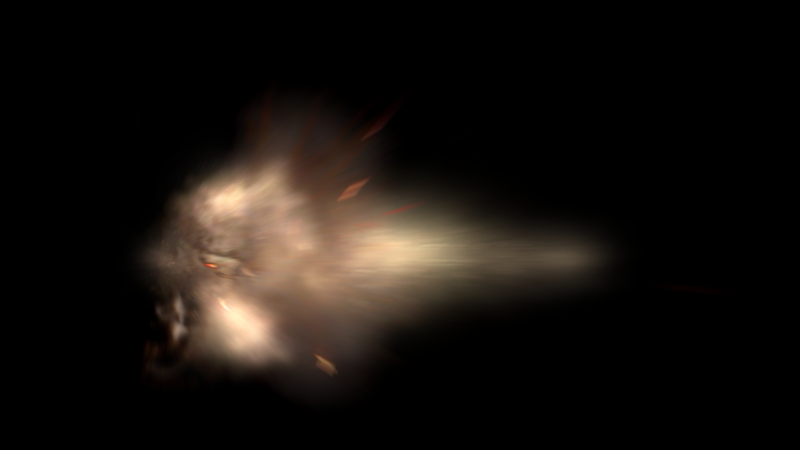 By swapping out different smoke stock, or even using procedural particle smoke, and by simply altering the random seed of the muzzle flash I have access to essentially limitless varieties of muzzle flashes, while retaining a common design focus. In other words, it can look like the gunfire is always coming from the same weapon model, without every muzzle flash looking identical. This example is for some of the basic rifles. There’s lots more to be designed yet, including a tesla cannon which will be particularly fun.